*In 2019 this package becomes a 7 Night package with an additional night of accommodation in Vancouver upon arrival from the Via Rail Train. This week long circle trip begins with a night in Vancouver each Sunday and Thursday from April 14 until October 10, 2019. 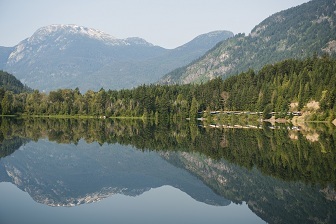 Your Vancouver night is followed by two days on the world famous Rocky Mountaineer train. Along with the breath taking scenery, you’ll enjoy breakfast and lunch each day on the train. You’ll arrive in Banff at approximately 7:30 PM after your second train day, and transportation will be waiting to take you to your Banff hotel. Besides nights in Vancouver, Kamloops, en route and Banff, this package also includes overnight stays at the Fairmont Chateau Lake Louise and Jasper National Park before you board the scenic ViaRail train for your journey through the Rockies from Jasper to Vancouver. Your ViaRail train journey includes an afternoon traveling through the Canadian Rockies with access to the all dome Panorama car, as well as the Observation, Club and Lounge Cars, dinner and breakfast in the train’s dining car and a private bedroom on the train with an upper and lower berth. Rooms with two lower berths are available at an additional cost. Along with your days and night on the train, you’ll have 3 days exploring the Canadian Rockies, with tours by motor coach from Banff to Lake Louise and from Lake Louise to Jasper. This package is also available with a rental car in the Rockies. You’ll visit Yoho National Park, Emerald Lake, Athabasca Falls and Athabasca Glacier, Crowfoot Glacier and the Columbia Icefield. Call 1-800-913-9207 or 604-990-9299 or Email for more information. Prices depend on travel date, number of travelers, train service, extras and hotels choices.